The Television Academy Foundation (TAF) was started in 1959, dedicated to engaging and educating the next generation of television professionals. 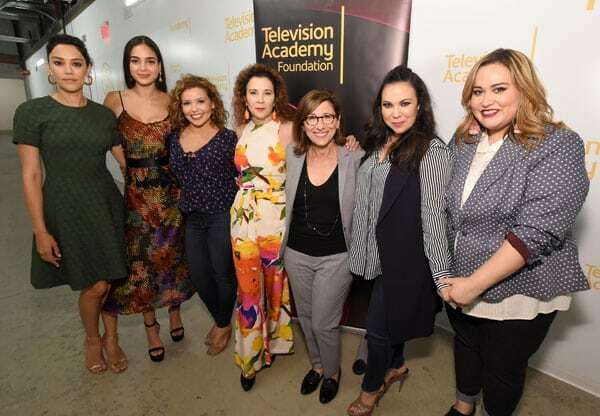 As the charitable arm of the Television Academy (famous for the Emmy Awards) the Foundation has not always been in the spotlight, but thanks in part to new investment in old traditions, the Foundation is enjoying a popular renaissance. The TAF organizes its programs into five pillars, which include The Interviews: An Oral History of Television, the Internship Program, the College Television Awards, the Visiting Professionals Program, and the Faculty Seminar. The success of the revamped Interviews Initiative represents TAF’s determination to overcome a classic struggle of those involved in the preservation and celebration of history: having important and valuable content to share, but lacking the capacity or a platform for effective distribution. Technology-based solutions have been key to the site’s newfound popularly, according to foundation chair Madeline Di Nonno. The bank of interviews numbers about 900 (dating back to the 1940s) and it is now fully searchable, as well as free and accessible to the public. In 2017, 43 films did not depict one Black female character, 64 were missing even one Latina, and 65 did not include an Asian female speaking character. Coupled with the fact that 78 movies did not feature a female character with a disability and 94 were devoid of an LGBT female, this analysis reveals how many of our most popular films keep women from marginalized groups out of the picture. We don’t [only] want to audition for roles that are the deaf girl or the deaf guy, we want to try out for roles of scientist, lawyers, politicians, bad guys, good guys, wives, husbands, these are roles that people with disabilities can play, just like everybody else. The use of star power to advance an agenda is an obvious choice for the Television Academy Foundation, and executive director Jodi Delaney, at the helm for most of the recent changes, has upped the Foundation’s social media game to help make the connection between what viewers see on their screens, and how the TAF contributes to both the on-screen and behind-the-scenes talent. In a recent tweet, she proudly hailed the addition of Benito Martinez, star of American Crime and The Shield, to the TAF board, which also includes producer Kevin Hamburger (The Talk and Ellen) and network executive Deborah Bradley (TBS and TNT). While the popularity of the interview project and its newfound accessibility has raised the profile of the modernized TAF, it is the investment in education, development, and advocacy for improved inclusion and diversity that will ultimately determine the Foundation’s mission-oriented success. Early results seem promising: the internship class of 2018 features a membership that the Foundation says about 60 percent are people of color and 74 percent are women. Keenan Wellar is the co-founder and current Co-Leader and Director of Communications at LiveWorkPlay.ca, a charitable organization based in Ottawa, Canada, that has been helping the community welcome people with intellectual disabilities to live, work, and play as valued citizens since 1995. Keenan has an MA in Applied Linguistics from Carleton University, and is a BoardSource Certified Governance Trainer. An early adopter of social media and an outspoken advocate for sector transparency, Keenan provides pro bono support for non-profit organizations seeking to help them improve the connection between their missions and messaging, and was named the Community Living Ontario Social Media Professional of the Year in 2014. In addition to being a football, tennis, and soccer enthusiast, Keenan enjoys photography, kayaking, and hiking. FROM THE ARCHIVE: “There is no single ‘correct’ strategy for leveraging digital media into movement power. There is, however, a set of practices that, when properly instituted, helps activist organizations adapt to the rhythms of the digital age,” writes David Karpf in this discussion of activism in today’s media landscape.